David Perry, 68, of Flowery Branch, died Monday September 3, 2018. Born September 23, 1949, he lived in Hall County all of his life. David was a family man, raising Jennifer and Michael with his work ethic. David was a fireman. He served in Hall County for a number of years. 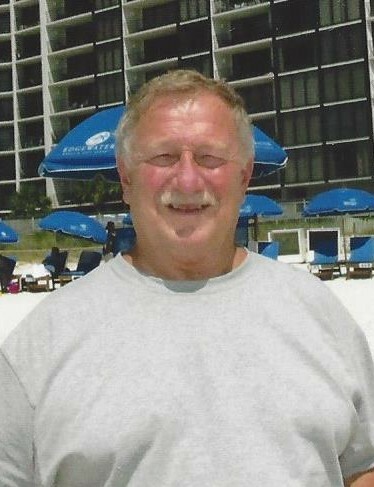 When his Michael was born, he worked in DeKalb County until he retired. During his years at the Fire Department, he saved many lives. He received the Valor Award at the Capitol from Gov. Joe Frank Harris. David worked 7 days a week. When he was off from DeKalb County Fire Department, he would go to his second jobs: Beach Master at Lake Lanier Islands (he was a dive master); Mooney Furniture Company making dressers. He was also a substitute mail carrier and worked at Home Depot at several locations. David was an assistant baseball coach at Johnson High School. David had a very high IQ (145) and he had a photographic memory. You could ask him a question and he would give you the correct answer. He took a class in speed reading. He told Mary Ellen that he had a filing system in his head. When a question was asked he would bring up the page in a book he had read and find the answer. David had many talents. He was an artist, a builder, a gardener that produced beautiful tomatoes every year. He was a great baker; his specialty was pound cakes, red velvet cakes, and peanut brittle. After he was diagnosed with Stage 4 esophageal cancer, he continued to work around the house and in his garden. David was a man’s man and he never met a stranger, he talked to everyone. He was a good man and loved his family, especially Mary Ellen. David was preceded in death by his father, Bill Perry. Survivors include his wife of 37 years, Mary Ellen; daughter, Jennifer (Jeff) Brandon; son, Michael (Beth) Perry; grandchildren, Emily Flewellen, Sydney Flewellen, Olivia Brandon, Mia Brandon, and Ethan Perry; mother, Aline Perry; brother and sister-in-law, Richard and Ann Perry; brother-in-law and wife, Mike and LeAnne Wayne; brother-in-law, Dale Wayne; special friends, Tracy and Susan Parker. A number of aunts, cousins, and family also survive. Celebration of Life service will be held at 6:00 p.m. Wednesday September 12, 2018 at The Venue, 7340 Friendship Blvd. Flowery Branch, GA. Rev. Chris McCain will officiate. Family and Friends, please bring your favorite David Perry stories to his celebration. In lieu of flowers, donations can be made to Flowery Branch United Methodist Church, 5212 Spring St. Flowery Branch, GA 30542.